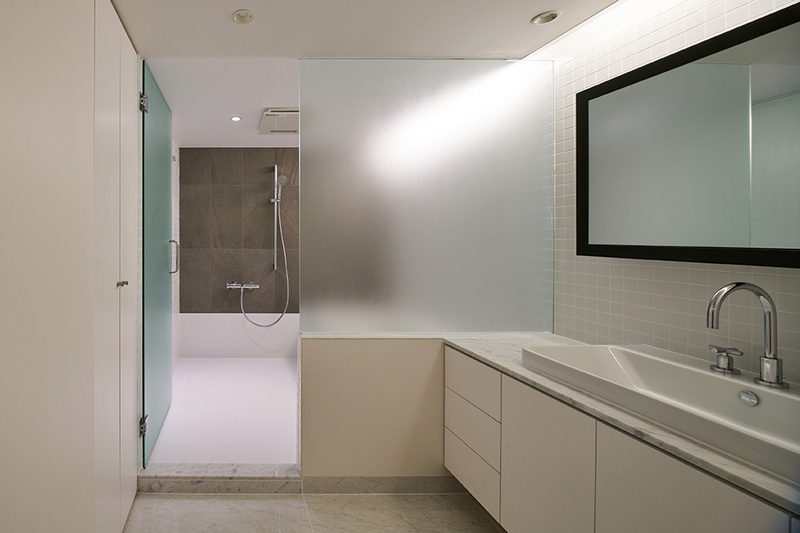 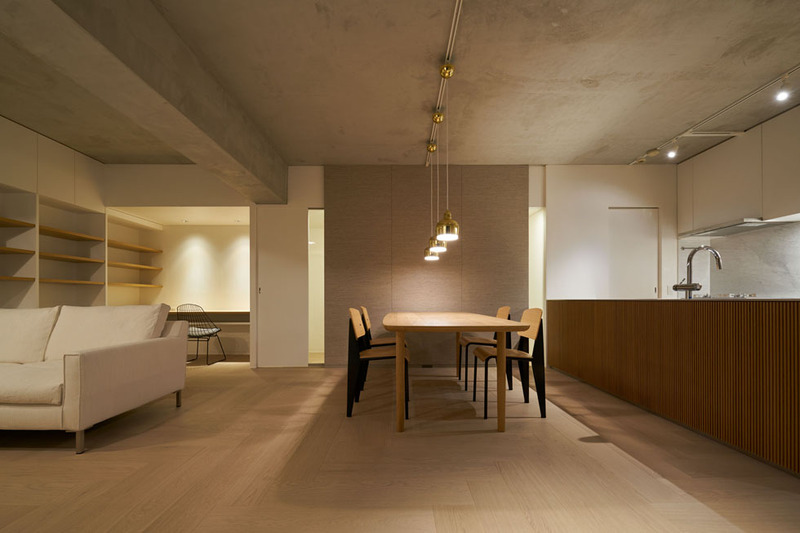 Supreme interior renovation where families live in a continuous space like a gallery permanently beautifully. 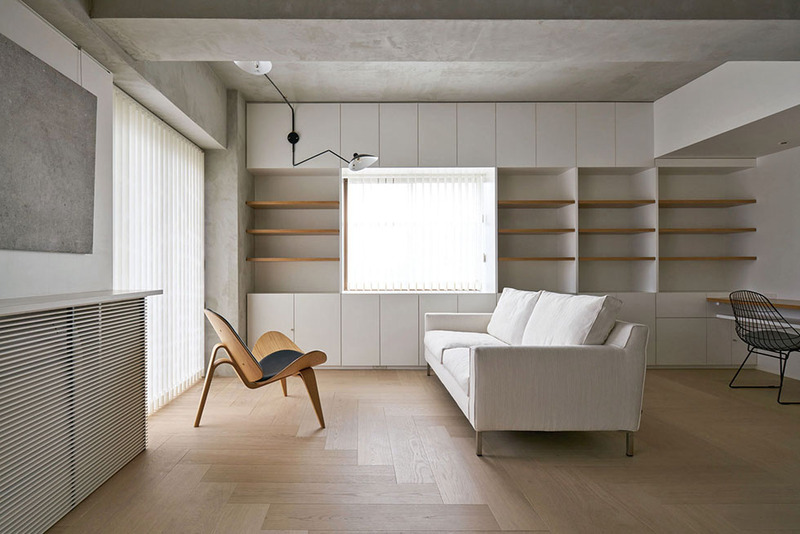 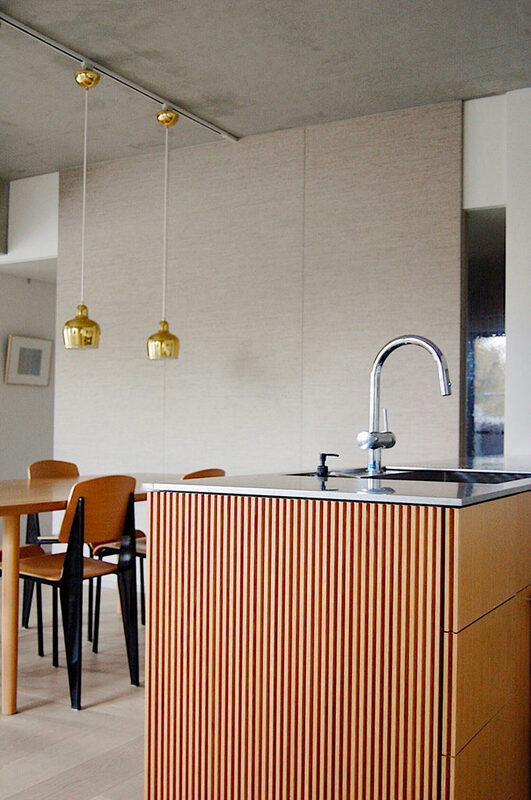 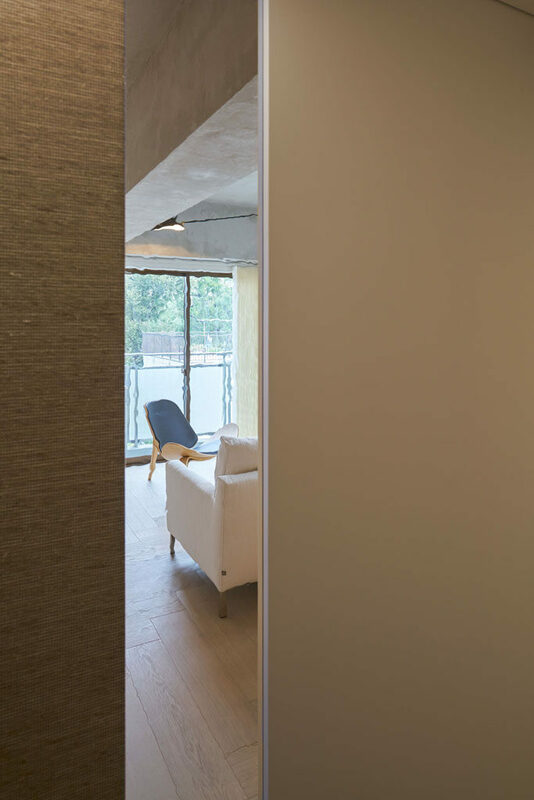 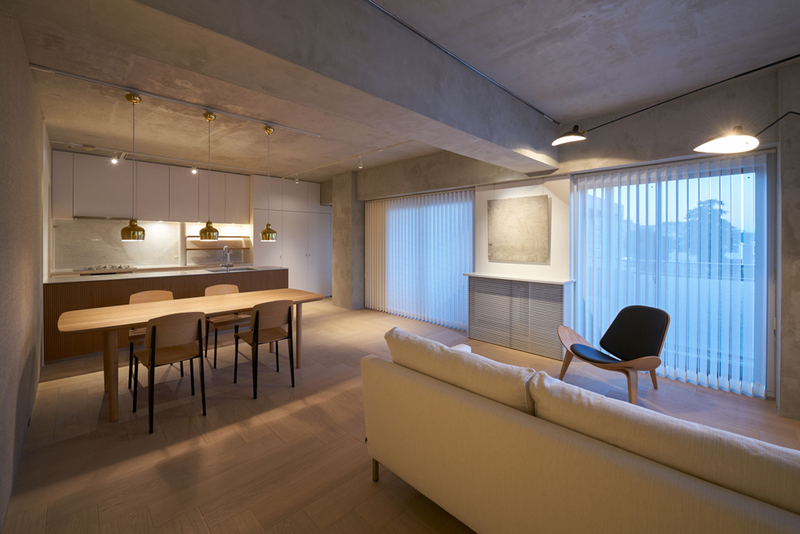 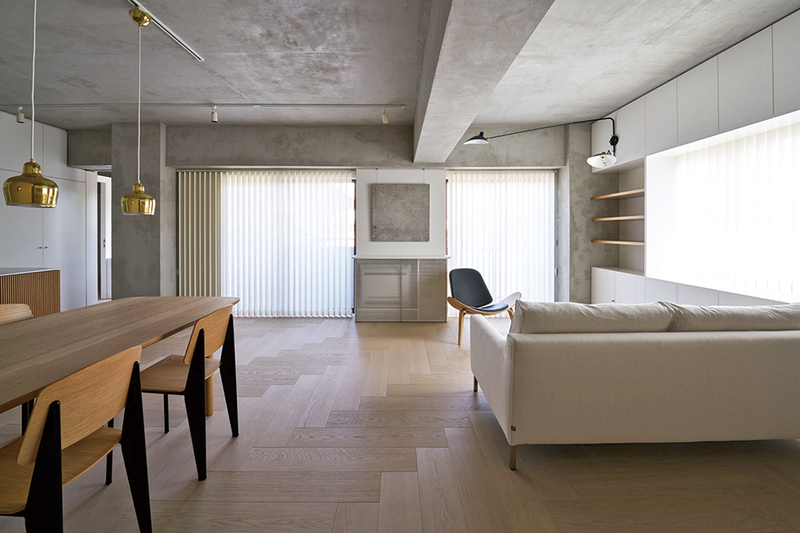 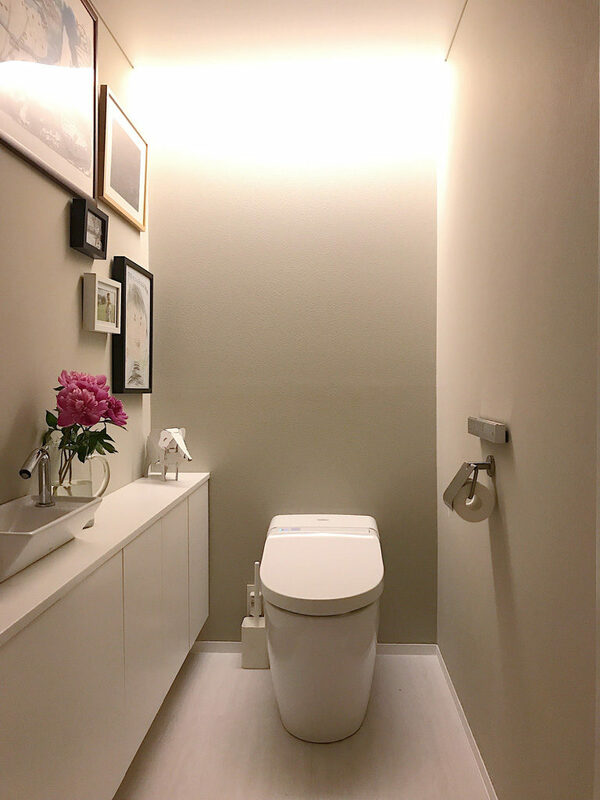 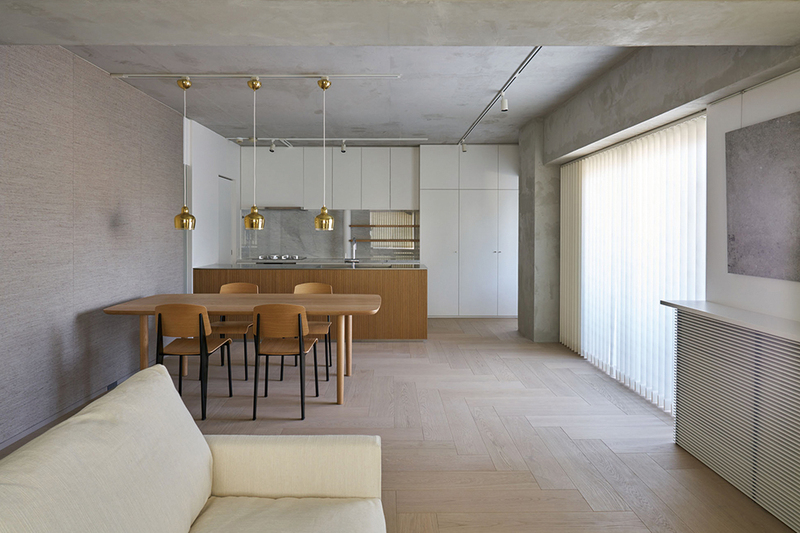 Interior renovation of a northward dwelling unit of a medium-sized apartment built in a quiet residential area in Tokyo, where the couple and two children live. 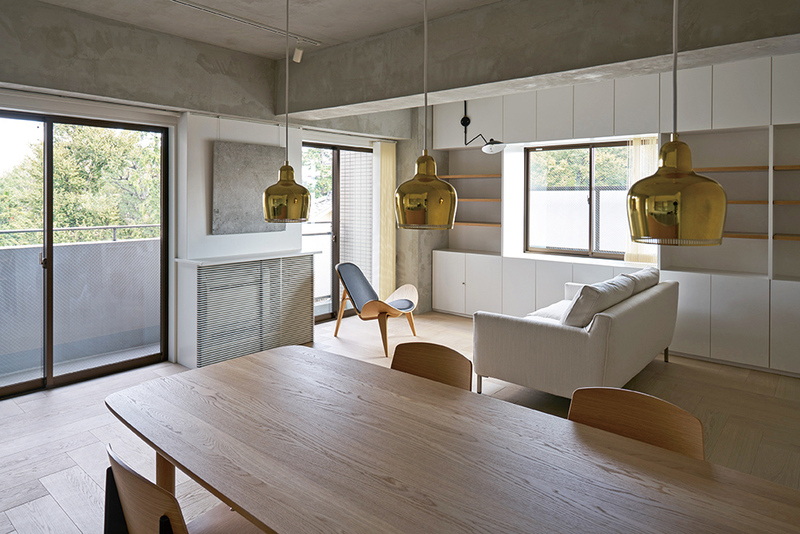 The theme is that “family members spend together in a continuous space, putting favorite items like an art museum, living permanently beautifully”. 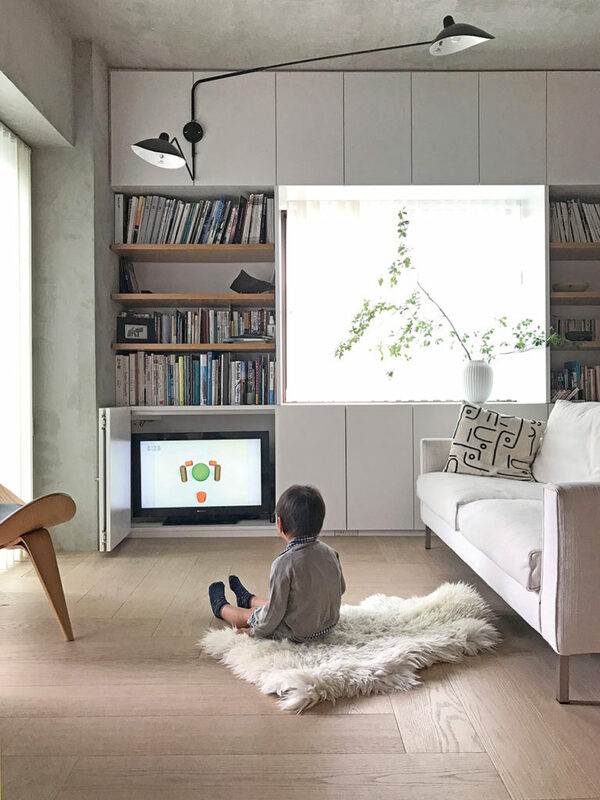 The living space, which forms the core of their life, is a wide and bright continuous “L-shaped” space incorporating light, wind, the view of the green in the neighboring temple existing forever. 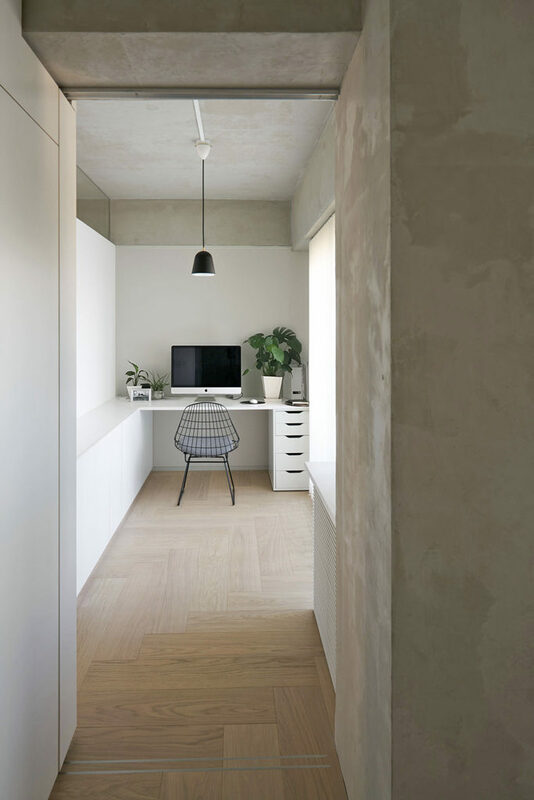 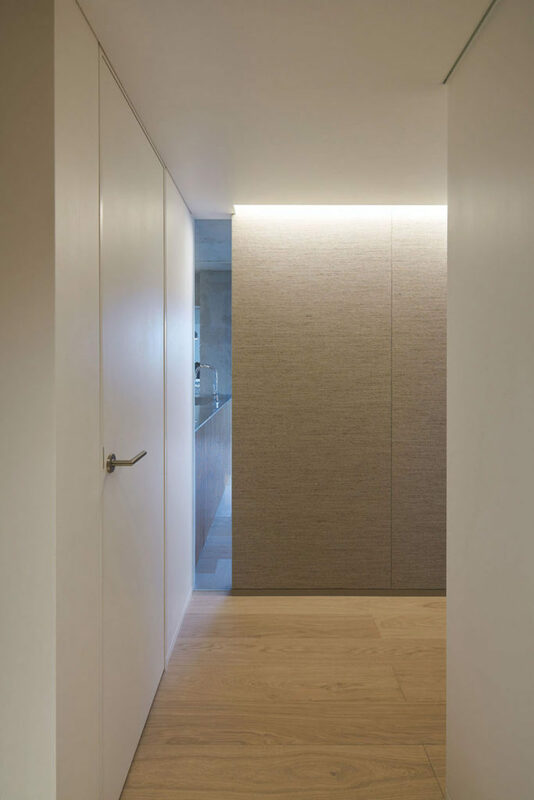 This space is composed simply of a beam and ceiling with concrete, minimal Detail, neat herringbone flooring with the necessary functions for living such as equipment and storage. 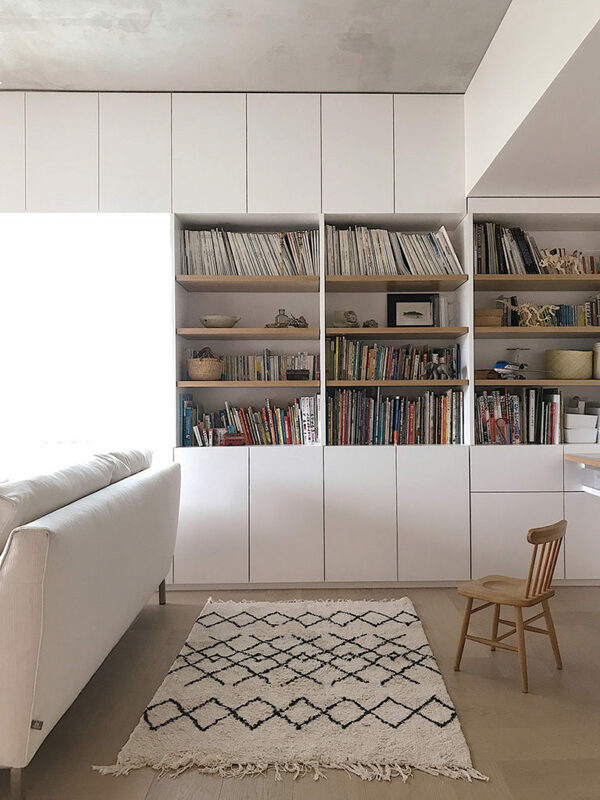 Family’s favorite books and items, artworks and plants are placed on shelves in this space, and green outside the window shows the transition of the seasons. 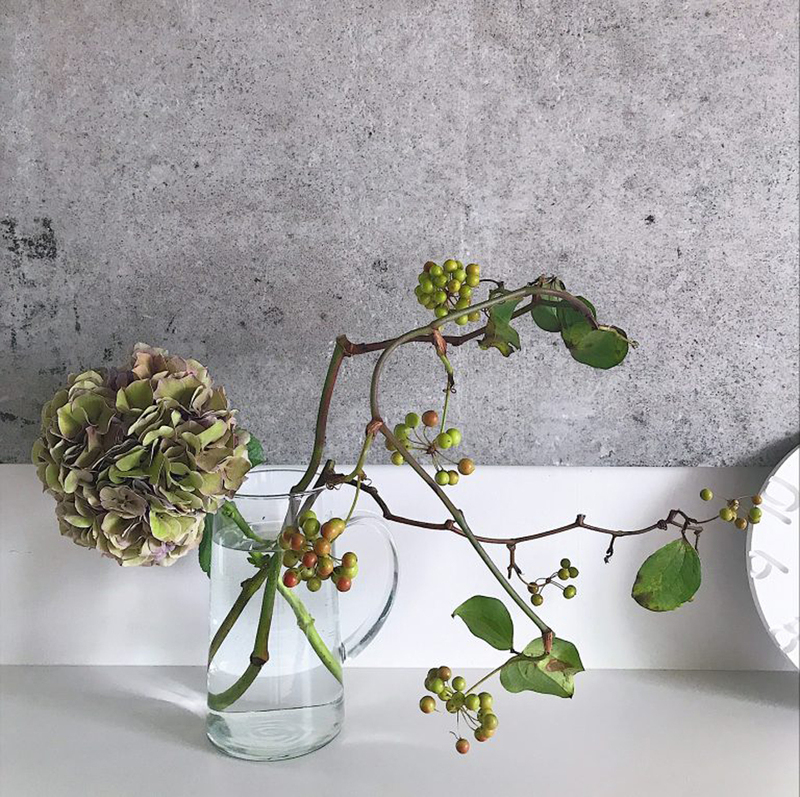 We did not become strange, we sublimated only essential elements such as light, wind, view, space, materials as architecture. 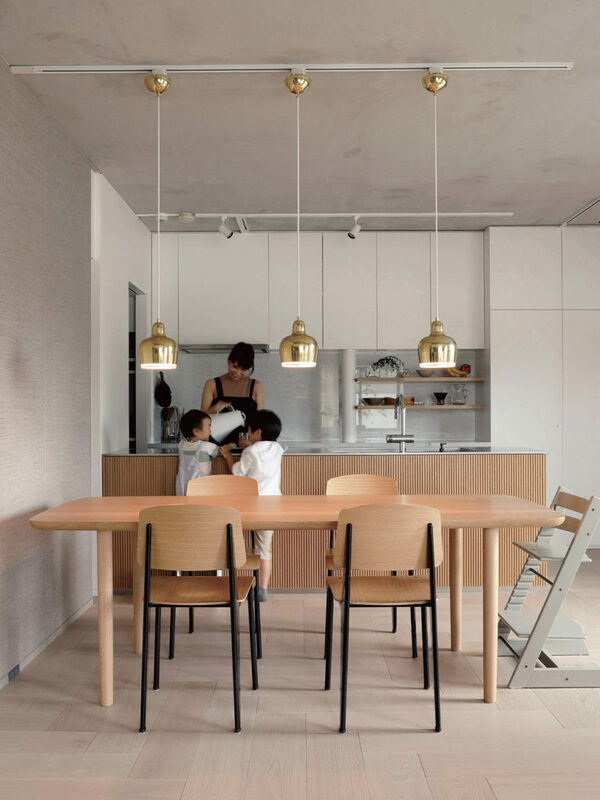 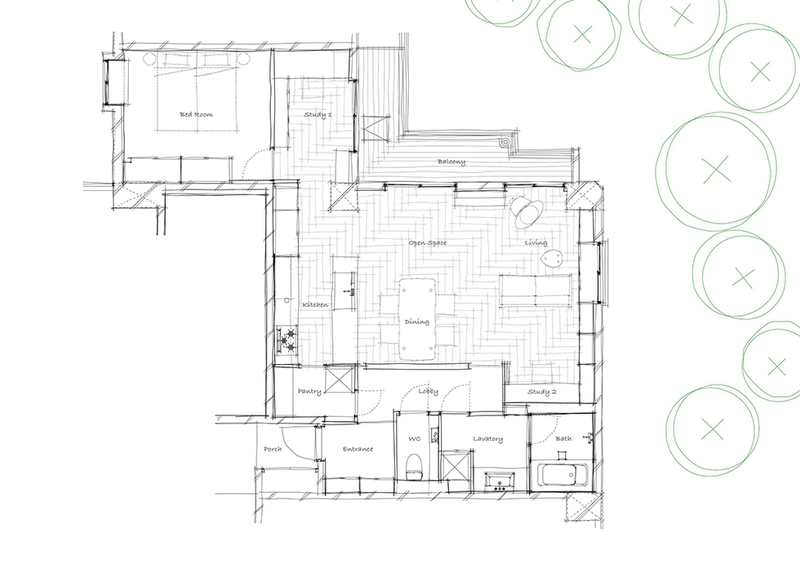 This one-room space is gently wrapping around the daily busy family life.